There are hardware and software tools. Hardware tools are the tangible ones. 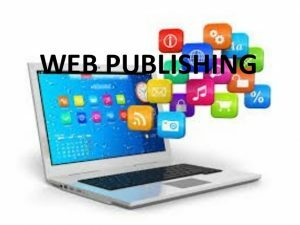 Software tools contain instructions that guide the process of web publishing. Under hardware, there is the computer whose processor speed should be high. A text editor, a graphics processor, and web browser are the essential software tools.